It started innocently enough–Koopa Cape was a funky and dynamic course that had shades of F-Zero in its DNA. 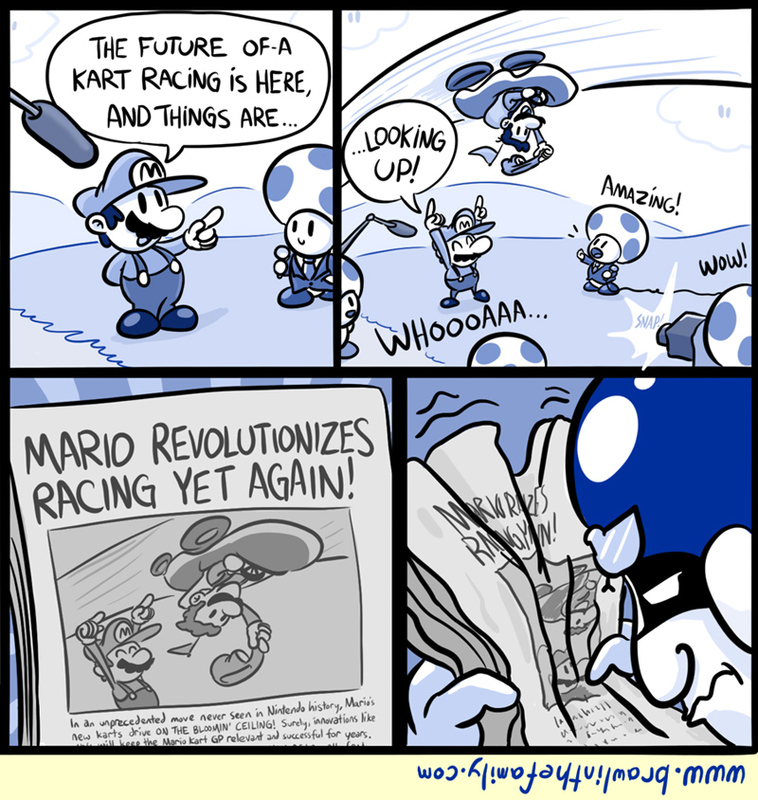 But as Mario Kart tracks got grander and crazier, it was inevitable that everything would lead to this…full F-Zerofication! I was a relative latecomer to the F-Zero franchise (got into it around F-Zero X for the N64), but I still think its blisteringly fast arcadey nature has a place in Nintendo’s lineup. So I’m a bit wary with how Mario Kart 8 seems to be a blend of the two major racing series, apparently leaving our dear Captain Falcon in the dust! The game looks fun for sure, but it’s been ten years since the last console F-Zero game, so I hope Falcon and crew return for another lap around the galaxy at some point in the future. Or maybe I’m just being overly dramatic about the similarities. But they at least warranted their own comic!